On my quest to find a great story for Chickens magazine, I found some great flocks. 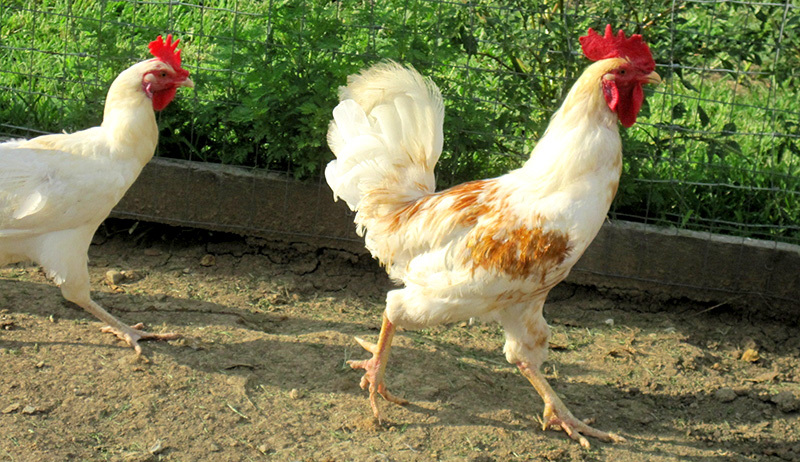 These Leghorns, or Livornese are keeping their Italian family stocked with fresh eggs. 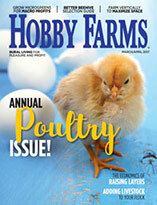 The managing editor for these “Rick’s Favorite Crops” blogs on UrbanFarmOnline.com, the website for Urban Farm magazine, is now also the managing editor for a magazine titled Chickens, from the same publisher. 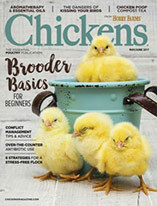 There’s something about the possibility of being able to write an article or two for Chickens magazine that really strikes my fancy. Lately, I’ve been wandering around the hills, talking to people who keep chickens in the hopes that I might find an interesting enough story to merit consideration for the magazine. Last week, I visited a charming Italian family with a big, sprawling farm perched on a mountain that overlooks the bay in Rapallo. I took some photos of their chickens, and asked them all sorts of questions about their operation. 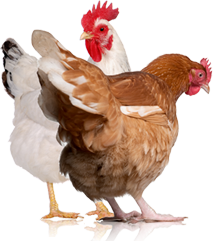 They basically raise two types of chickens: All of their females are Livornese, or Leghorns, which the family raises for eggs. These chickens are from the old Italian variety that was imported to the States back in the 1800s and went on to become one of the most common commercial breeds in America. Livornese are particularly prized because they are exceptional egg layers, laying at a rate of almost one egg a day. In typical Italian style, they eat a lot of the eggs from their chickens and then sell the surplus to help pay for the bags of feed. The photo you see here is of two of the family’s roosters, which they raise for meat. These are really pretty birds and of a variety described as Mondovi. I haven’t been able to find out much about the breed, but I do know there’s a town of that name a few hours north of here, so I suppose I’ll have to drive up there someday and nose around in order to find out the history of these birds. The people I visited kept the chickens in a fairly large house with double walls and a special concrete foundation that is resistant to digging intruders. The building was surrounded by a very large, open area that has been fenced with a 10- or 12-foot-tall wire-mesh fence. There were a lot of trees, shrubs and weeds growing in the enclosure, and the area very much represented the epitome of free-range. When my host let the dozen males out to the yard, they all ran out excitedly and romped about like a playful herd of puppies. Very charming. I’ve always had a bit of trouble killing the chickens and turkeys I’ve raised myself, as I tend to get emotionally attached. But I have no trouble eating the birds I’ve raised, as they have all been fairly tasty. I think I feel the same way about most farm animals. A few years ago, I built “Rabbit Paradise,” an enclosure to demonstrate what I thought was a better accommodation than the horrible cages most people use to raise rabbits. This was also intended as an area where house rabbits could have a fun play area, and I wrote a magazine article for the SPCA’s magazine about the rabbit playgrounds. While on my lunch breaks during the construction, I would cross the street and eat lunch at a small trattoria, where I would usually have stewed rabbit. Rabbits are great house pets, and they are also delicious!